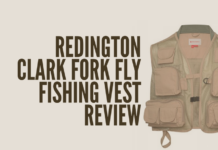 When it comes to spending time on the river, it’s incredibly important to choose the best fly vest you can afford. Now, this isn’t to say it’s imperative you spend $200+ on a vest, stick within your budget, but remember this is the second most used piece of equipment you’ll buy. Well, maybe third, if you’re counting waders. Regardless, choose a vest that not only fits your budget, but also your fishing style. 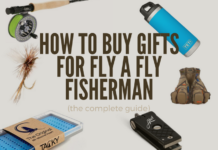 Do you like to use a backpack when you fly fish? Would you prefer to only use a vest? These are both big keys to choosing something that will serve you well on the water and it may be worth paying a bit more to get something that you like rather than “what works”. The most expensive vest of our top 3, the Wasatch is also the most advanced. Though this vest doesn't come with a water bladder -- it does have a space to hold one (in addition to a fly rod tube). It offers great pockets that open with one hand, a major plus. 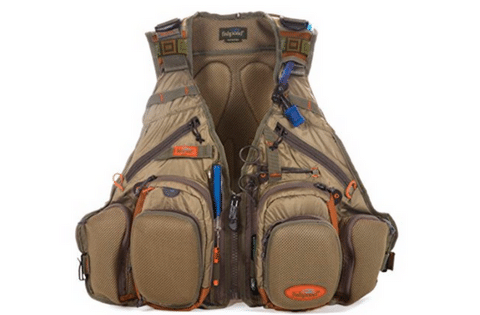 If you're looking to upgrade to a top of the line fly fishing vest, the Wasatch is it. Period. 1st Choice: when it comes to fly fishing vests.. go with what you can afford. This is the best vest of the 3 hands down. A steep downgrade in price from the Fishpond Wasatch vest we highly recommended, this is your classic, traditional fly fishing vest. There isn't a ton to highlight simply because this is your "step above bare bones" setup that works for any level of fisherman. It's super light (obviously) and the pocket space is excellent. The most noticable difference between this and the Wasatch? Pockets. Soft vs. Hard pockets. Personally, I love this vest for a vest + backpack combo. For example, you've already got a half pack hunting pack and you're just looking for the front side of a vest. 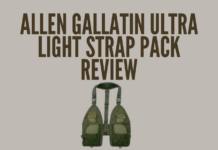 Allen makes high quality fishing gear at an affordable price, and for a few $$$ cheaper than the Redington, this is about as cheap as it gets. 3rd Choice: you're sacrificing back space, but it's great for the angler who uses a separate backpack. This post is about how to choose the right fishing vest for your budget, so if you’d like full breakdowns of these vests check out their individual reviews below. 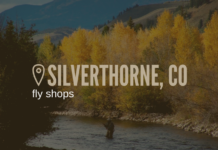 What should I be looking for when choosing a fly fishing vest? The easy route is to start talking about features. How many pockets there are, how easy they pockets open, backpack space, the durability, and so on. However, we’d be out of line to assume budget doesn’t matter.. when it clearly means everything. The first, and most important thing to consider when you’re evaluating a vest is budget. 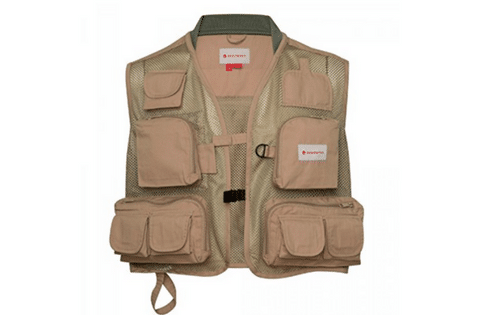 Can you afford a $200 Fishpond Vest? Then buy it (because it’s good). 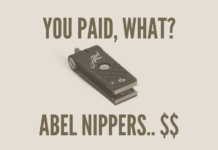 If you can’t afford it, find something that’s offers the best quality, not features, at a price you can afford. A fly vest should stand the test of time, not offer every feature under the sun for a $40 price tag. And yes, those $40 fly vests with every option do exist, but we don’t recommend buying one. Why? When we make a recommendation, we want it to be the right recommendation. If it’s too good to be true, it probably is. Buy a vest you can afford. It’s very hard to evaluate how long a vest will last online, so if you can check it out in person.. do it. With that being said, you really do get what you pay for with a vest. The first things to go are going to be zippers and buckles, so if a vest you fancy has a lot of them (the best true budget option would use only velcro and buttons) make sure you know what you’re getting in to. 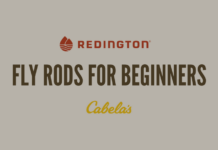 If you’re new to the sport, brands like Orvis, Fishpond, Allen, Redington, Cabela’s, these are all brands you can trust. There is a reason companies like this have been around for some time. The product speaks for itself. How much space do you need in a vest? 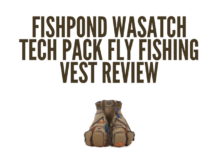 One of the reasons I’m such a fan of the Fishpond Wasatch Vest is the space it offers. 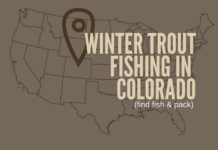 As you get further and further into your fly fishing career, you’re going to find that you’ll want to take more on the water. Personally, my big space eater is fly boxes. Before I switched to Tacky Fly Boxes, real estate in my vest was dominated by boxes (and candy bars, who doesn’t love a Snickers on the water?). The short answer is, if you’re serious about fly fishing, you’re going to use more space in your vest. Also, don’t forget to look for things like D-Rings (tippet line holders, line clippers, etc) and in the case of some packs, water bladders. What type of pockets do you prefer? Would you rather fumble around in a pocket and save a hundred bucks, or have fold down fly benches with built in foam? 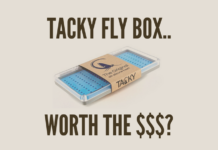 Experienced fly fishermen carry several boxes on the river (with everything from Nymphs to Streamers) and some like quick access to the flies that are hitting. This is where the bench style pockets suit an angler well. Personally, I don’t mind keeping things completely organized with my fly boxes, so I don’t actually use the bench a bunch. On most vests, you can actually replace/remove this foam (which is what I ended up doing). In addition, do you like floppy pockets? 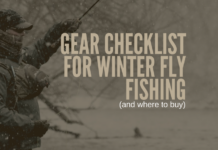 Do you fly in to your fishing spots? If that’s the case and you want to keep your vest loaded, a structurally sound pocket on your vest could come in handy. What’s on the back of the fly fishing vest you’re after? Do you use a separate backpack? Do you carry water on the water? What’s your fishing style? These are all questions that matter when you’re trying to choose the perfect vest for your next trip to the river. 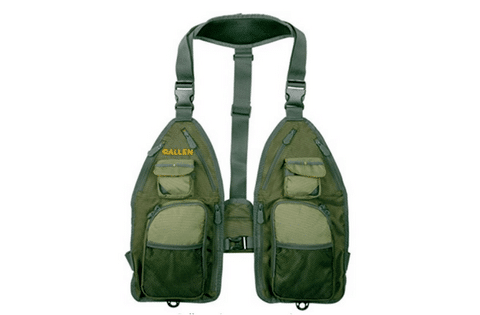 If you’re the angler that prefers to put everything in one place, get a vest that offers a backpack built in. Another option is buying something similar to the Allen vest we recommended above, where there literally isn’t a back on the vest. If you’re heading on walking distance trips, you could easily get away without a back. Do you fish to eat? If that’s the case make sure you get a setup where transportation and keeping the fish cool works well. So all in all, choosing the perfect setup comes down to.. you. When you’re in the store, you’re looking online, ask yourself the above questions and match a vest to your budget. Or, if worse comes to worst, buy two. My beginner vest was a $14 model from Dunham’s way back in the day. I’ve replaced the zippers on it, but the vest is still around today.